We knew that if we wanted to become one of the biggest hearing aid sites on the web that we needed to up our game in relation to our content. In order to drive page views, you need to focus on search terms that matter to the searcher. To do that, you need to have on-page content that answers the questions they are asking. Not only that, if you want the page views, you need to have the content that you write to rank so people see it and click on it in the search results. Easy, hahahahahahahaha. Right, to have any hope of doing that, you need a clear strategy and you need to focus on cornerstone content on your website. With a site the size of Hearing Aid Know, we needed to think in terms of cornerstone sections in order to really drive search focus. Let me explain, one of our cornerstone sections is an in-depth section about rechargeable hearing aids. It details basically everything the prospect needs to know about rechargeable hearing aids and details the latest devices from each brand as they arrive in the market. This section also includes a blog post that details the pros and cons of rechargeable hearing aids. Those are the cornerstone content pieces for rechargeable hearing aids. We then support those pages with consistent articles on the site in relation to new rechargeable hearing aids that become available and any news stories that appear around innovations in rechargeable batteries and other power sources for hearing aids. Writing an article alone will not do the job, you need to use anchor text hyperlinks within the article that support the pages that you wish to drive. Such as the hyperlinks in this page that is written about the introduction of the Signia Pure Nx rechargeable hearing aids recently. So, many SEO experts will tell you to be very careful about over optimising your site with too many anchor text hyperlinks. We have tested this concept again and again. It is our experience and my best advice to you, that once the anchor text hyperlink is within context, is clear and informative and finally, is of help to the reader to better understand the subject or find out more about the subject. You won't be penalised. In fact, if you follow those rules, you will only place good anchor text hyperlinks. Whenever you are tempted to put one in, ask yourself. Will this link help the reader firstly and also help me to set the terms of reference for Google of the page I am linking to? To be honest, even if you can answer yes to the first question, answering yes to the second question is vanilla. The Results of Our Work? This strategy has paid off exceptionally well for us. We used the concept to focus on the search terms that we knew people were interested in, such as rechargeable, invisible, Bluetooth hearing aids etc. We worked out what each section would contain and how many pages we needed to deliver for each search term etc. We then went about building those pages to best practice SEO standards. Once that was done, we then set about writing articles that would support each cornerstone section and also placing hyperlinks throughout the site where it made sense to. This work has allowed us to reach that million page views and we know it will continue to help us to reach the two million page views. In essence, it will drive traffic from people who have questions about hearing loss, hearing aids and the people who provide them. So how can this help you? You need to outline your own cornerstone strategy. You should identify concepts that can be used as a cornerstone. In order to do that, you need to understand what people are searching for. Some of these things are obvious, some, perhaps not so. However, you can do your own keyword research using easily accessible tools. Once you have set out what you need to focus on, you simply build the pages with focused content to cater to the questions that are being asked. Once those pages are built, it will be easy to support them on an ongoing basis as you write articles on your blog. Your lesson for today is to build cornerstone content on your site that addresses the questions that prospective customers are asking. To give you a head start, these are the cornerstone pages that we realised we needed to focus on. 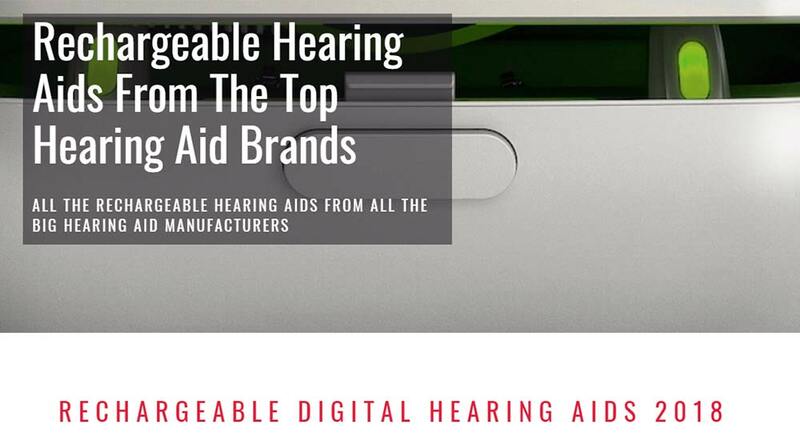 Hearing Aid Brands, a page detailing the big six, just needs to be an outline on each one. I think that is probably enough to get a start on, our focus was to drive views from prospective consumers. That should really be your focus as well but in a more localised way. You don't need to get to two million views a year, but you do need to maximise search related page views from your locality. Following a cornerstone strategy will allow you to do this, it will result in better rankings and more business written.